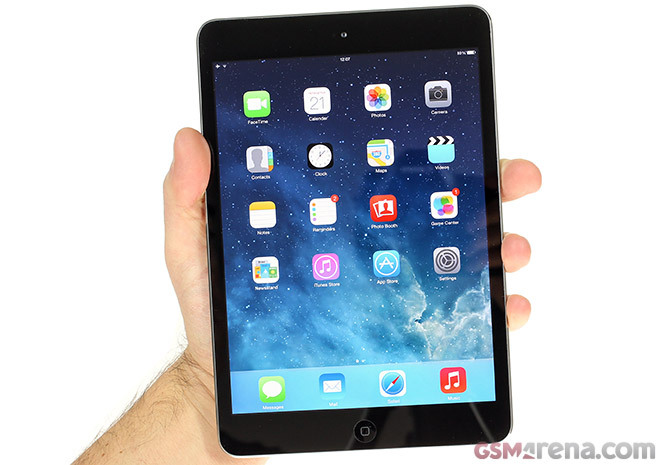 We expected the Apple iPad mini 2 to launch alongside the iPad Air – many people did – but that wasn’t quite the case. Anyway, the initial hurdle has been overcome (mostly overcome, shipping is sluggish in some markets) and it’s time to look at what could be the new most popular tablet, dethroning the 9.7″ iPad, which held that title for a long time. The original iPad mini was just reheated iPad 2 in a smaller package, but the second iteration promises to get everything right. It has the same screen resolution, which due to the smaller screen diagonal means it has one of the highest pixel densities around. It matches both the iPhone 5s and the Nexus 7, one of its chief competitors. It also has the same chipset as the iPhone 5s and the iPad Air, which has already proven to be very competitive against even the Snapdragon 800 chipsets that most current Android flagships boast. That extra resolution and beefier chipset required a bigger battery to handle the extra load – the original mini had a 16.3Wh battery, while the new one has 23.8Wh in its tank. That made it a bit thicker and heavier though. Battery life is unchanged, according to official numbers at least, we’ll see what our own battery tests reveal. Apple also threw in a 128GB option, but with a base price of $400 for the 16GB Wi-Fi only version, the $300 on top for the 128GB Wi-Fi only version seem like a lot. After all a 64GB microSD card is 50 bucks. We’re almost done with the review of the Apple iPad mini 2, we’re just finishing things up like testing the battery, the camera and a few other necessities.